When you’re in the market for a new Honda or used car on Oahu, turn to Pacific Honda. 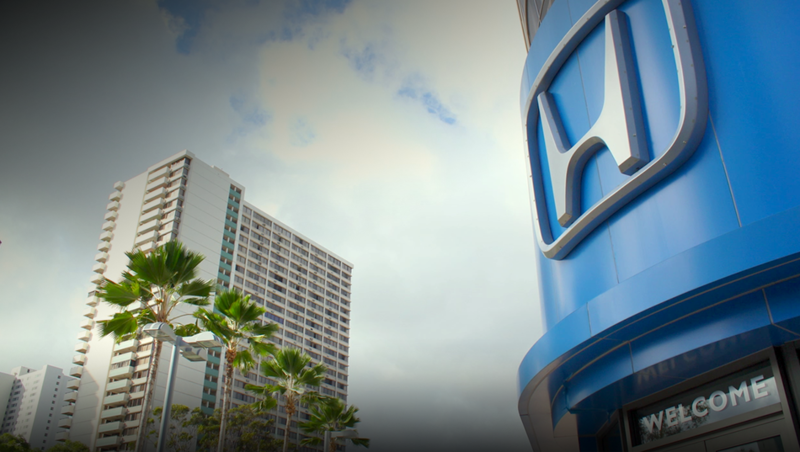 Our Honda dealership in Honolulu, HI, offers drivers an expansive Honda inventory, as well as expert auto service and financing. Pacific Honda was the first Honda dealership in the United States, proving that we have the tenure to provide you with an exceptional experience. We’re located in the heart of downtown Honolulu, making it convenient for drivers from Kaneohe, Kailua and Mililani to reach us. Have you been thinking about upgrading your time on the road with a new Honda? Pacific Honda will supply you with the selection you need to find the ideal ride for cruising Oahu’s streets. We also have used Honda models, as well as used cars of other makes, so you can find a new-to-you car that fits your budget. Don’t hesitate to contact our Honda financing team to discuss your lease and loan options, too! Whether you’re looking for Honda sales, service or financing, we’re here for you. Pacific Honda is committed to representing and upholding the standard of excellence American Honda has established in our industry, while exceeding our customer's expectations and positively impacting Hawaii. Visit Pacific Honda, Home of the Happy Honda Lovers! Looking for More Reasons to Visit Pacific Honda? Almost our entire Honda inventory is located inside our state-of-the-art facility, so it’s always protected from weather and the elements. Our Honda service center is open six days a week, and you can drop your car off as early as 6:30 a.m. on weekdays. Not sure whether you should buy or lease a Honda? Our auto financing experts can explain the differences and help you make the right choice for your budget. Contact our Honda parts department if you need replacement components for your vehicle. We sell genuine Honda accessories and parts here!